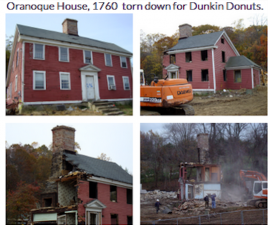 Compared to New England, the mid-Atlantic or Chesapeake has depressingly few surviving houses of the 17th and early 18th century. The Virginia, Maryland, Delaware, owed initial survival to farming tobacco. Yet, tobacco depleted the soil quickly. Thus, modest and poor farmers built houses on posts dug into the ground. Often within a decade, those 17th-century farmers had to dismantle the upper portions of their houses--saved the timbers they could, and move farther inland. Tobacco depleted the soil and the bugs and rot had destroyed the house posts anyway. Yet, this phenomenon has left us today with a paucity (especially compared to New England ) in understanding early architecture, even the lives, of these 17th and 18th-century middling farmers. Recently my fiance and I discovered an early Virginia house, practically in the woods, that according to a fellow academic was "amazingly preserved and unspoiled"
As part of our overall documentary, this small house allows us to feature extensive studies and comparative footage of New England and Chesapeake houses, with an in-depth explanation of similarities and differences. The documentary also features craftsfolks who specialize in all types of things pertaining to house building and furnishing--from blacksmiths, roofers, chimney experts, loggers, housewrights and carpenters, furniture makers, textile specialists, clothing makers, potters- the gamut. We have been in talks with several major institutions, architectural experts and archeologists who are eager to study the house and create an architectural report. We will also personally be contributing nearly 50% of the overall funding for the project and look forward to counting on your kindness to save the house AND incorporate it into a groundbreaking documentary which we aim to air on a major network. Again thank you kindly for helping!